Juan Foyth rubbishes the speculations that his discussions with the Spurs over a possible deal are reaching the point of conclusion and his representative is set to fly to UK soon to get the deal done. Foyth who is only a teenager confesses that he dreams of an opportunity to feature in the European Leagues, but, at this point of time, he doesn’t have any offer like that on the table. As per Foyth, he has read on Twitter and other social networking sites that his representative is going to meet with the Spurs officials, but, he has no idea about it because his representative has not talked to him in that regard at all. If it had been the case, his representative would have surely let him know. Is Kyle Walker on the move to Manchester City? 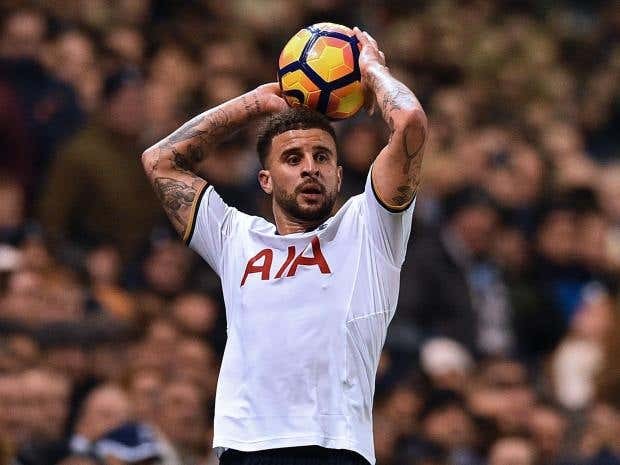 Kyle Walker is a 26 year old English defender who performs with Tottenham Hotspur and has been making so many superb performances in this current 2016-17 English Premier League season that he has attracted the attention of Manchester City. It’s rumored that Manchester City are interested in securing the services of Kyle Walker who recently was included in the PFA Team of the Year for the season of 2016-17 and this is because of just how impressively the defender has been performing and played a big role in Tottenham Hotspur’s push to the upper section of the English Premier League. The PFA Team of the Year for the season of 2016-17 included the likes of: David de Gea, David Luiz, Gary Cahill, Eden Hazard, RomeluLukaku and Harry Kane just to name a few of the more prolific and renowned players. Kyle Walker managed to mark his name in this squad of top class performers. Continue Reading Is Kyle Walker on the move to Manchester City? Arsene Wenger has stated that his side is ready for the London derby on Sunday where his side will be facing Tottenham Hotspurs. He said that the players are ready and that they understand the importance of this game for fans. Arsene Wenger said that the team would be without Santi Cazorla, Theo Walcott and Nacho Monreal who are all injured. He said that Walcott has a slim chance of featuring in the team, but he will have to face a late fitness test. Arsenal will be boosted by the return of Olivier Giroud who has scored 3 goals from 2 matches since his return from injury. The French manager said that he would make a decision on whether Alexis Sanchez or Olivier Giroud will play in the striker role. He believes that each of the two players has their own qualities and it is up to him to decide who will suit the play better on Sunday. The English Football League is considering creating a new ‘fifth’ division for the start of the 2019/2020 football season, according to the Chief Executive Shaun Harvey. According to Harvey, members would be the one to decide if Celtic and Rangers can participate in the EFL. The EFL wants to expand to four divisions of 20 teams each, so it wants the 72 clubs to give their opinions. Celtic and Rangers have been seriously considered for long to join the fifth division, despite being of the Scottish divide. But Harvey says the final decision would be made solely by the members. “We have recently gone out to our clubs to elicit their further views in relation to any different number of areas from the proposition that was first put forward. Once we have their views, we can move forward,” Harvey said. He then added that if they were to proceed, there’s the dilemma of which teams to choose. “One of the simple questions, if this is to proceed, is where should the [new] teams come from? So the only ones who will decide that are the clubs themselves, so we will see what they say. I don’t want to pre-empt anything,” he added. Rangers and Celtic have massive fan bases, and would be worthy additions. If there is any trend coming on it is that of football fans becoming used by homosexual players in the game. It is becoming an accepted fact that homosexuality can exist among footballers. Select committees are being told by experts that inquiry into homophobia need not matter now. If a footballer turns out to be gay he will not be penalized in the way they used to before. Committees are now hearing that fans would be supportive, even if footballers announced that they were gay. There was a recent inquiry about the effects of culture and media on sport selection. There have been debates initiated by boxers like Manny Pacquiao and Tyson Fury. They were told that the footballers can be more open about their sexuality as fans have become more supportive. The findings were part of a larger research into homophobia in different sports and games. According to latest reports, a pro-stadium group wants to spend $63 million on the construction of a high school football stadium. Voters in McKinney, Tex., have given the go-ahead with the plans after months of contentious debate in the suburb north of Dallas. The proposed 12,000-seat facility and an attached events center would be just the latest in a growing list of supersized high school stadiums in Texas. The McKinney project has frequently been compared to the $60 million high school stadium in nearby Allen. With seats for 18,000 people, the Allen stadium has nearly the same capacity as Madison Square Garden. Another school stadium under construction in Katy, outside Houston, will have 12,000 seats at a projected cost of more than $62 million. Newly signed Manager of EPL giants, Chelsea have been in the news now regarding the Premier League title hopes. While many believe he has all he needs to lift the prestigious title, others say he would not have it easy. Former Juventus youth team manager who also played in the 1996 Juventus squad alongside Anthonio Conte, says the highly successful coach would repeat another success with Chelsea in England. Anthonio is set to quit his current job as the manager of Italy to take over at Chelsea this summer. 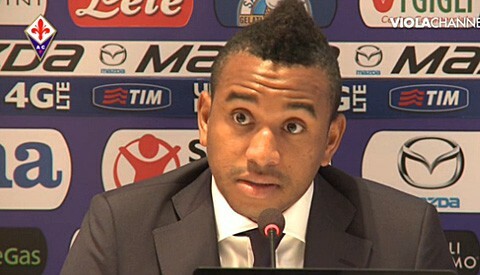 Stamford Bridge have confirmed the talented Coach will make the move by season end on a three year deal. Christian Benteke is the top goal-scorer of Aston Villa as he has managed to find the back of the net on 12 occasions in 26 Premier League matches and this has attracted top European clubs who are interested in signing the 24 year old Belgium attacker from Aston Villa. Manchester United and Liverpool are some of the clubs in the Premier League which have shown interest in signing Benteke and Tim Sherwood is well aware that it will not be easy to keep hold of Christian Benteke for another season. Leonardo Bacuna is a 23 year old right-back who serves as a back-up option of Tim Sherwood but even the Dutch defender knows about the fine form that Christian Benteke is going through which has helped Aston Villa on securing points in this season of the Premier League. Louis van Gaal will be given a transfer budget that is more than enough to sign Christian Benteke and a few more players in the summer transfer window and even though the Belgium forward is not the most glamorous or exciting players in Europe, he has already proven that he is capable of scoring goals in the Premier League and this is something that Manchester United did not investigate or care before signing Radamel Falcao who proved to be one of the worst signings in modern times.